Outcast prop master Joe Arnold gave OutcastCinemax.com an insider look at Rev. 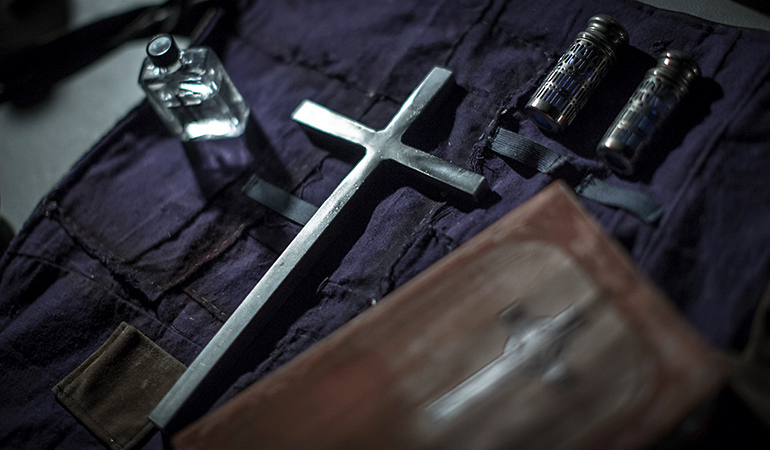 Anderson’s exorcism kit. From trolling eBay to interfacing with Catholic priests, a lot went into getting these props just right. Rev. 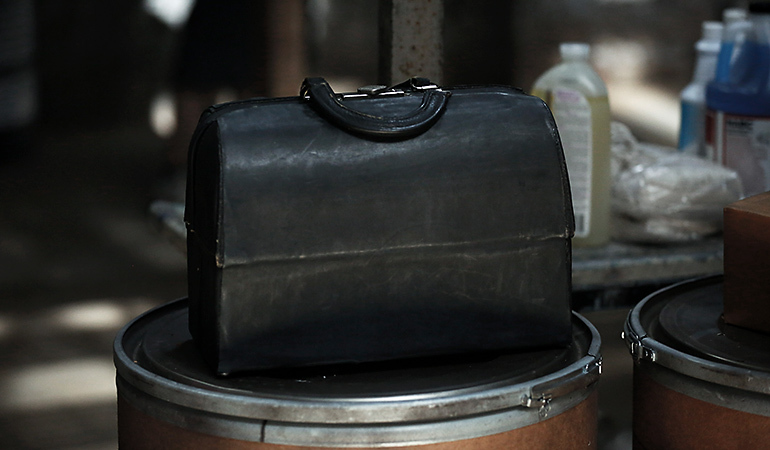 Anderson’s “toolkit” is actually an old doctor’s bag. 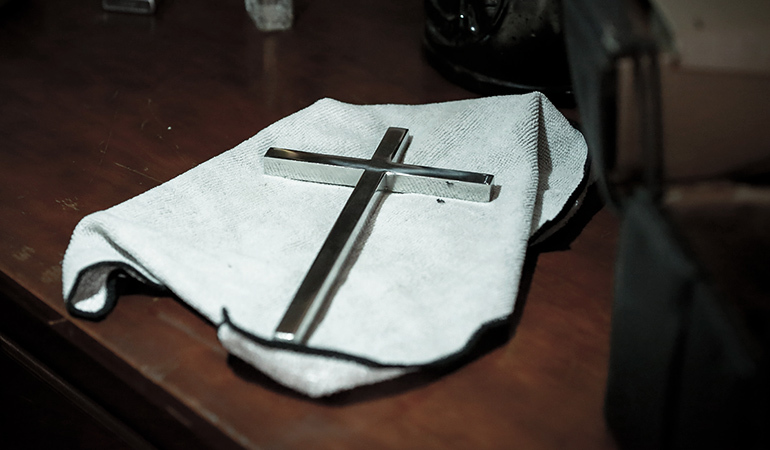 The cross was specially made to match the comic book. The holy water and earmarked bible were very much a DIY project.